A carelessness in the park, in the way to the school, in a mall, can be taken advantage by an abductor to be done easily by his victim. In Spain it has opened nowadays approximately 918 cases of missing minors. The immense majority of these disappearances correspond to simple abandons of the home provoked by conflicts in the families. These young persons will come back home healthy and safe spent a few days or will be thought by the police or relatives, with the exception of a few that they worry the investigators because they could treat about kidnappings or murders, nowadays approximately 24 in Spain, and that have disappeared in the most absolute mystery. Last 5 of October the police victim of a kidnapping liberates a 11-year-old minor. His captors removed, literally, the child of the hands of the mother whom they asked for a rescue of five million euros. During almost two days that it was captive in a floor of Barcelona it remained tied of feet and hands besides sedated and received all kinds of threats. The captors had instructions in writing to struggle and to carve the minor up before any unforeseen one or suspicion that they could be discovered by the investigators of the Police. The mother denounced the facts to the Police and the Central Unit of kidnappings and extract rapidly the link discovered between the father of the minor and the supposed brain of the operation, which allowed them to advance in the investigation. Almost two days after the kidnapping, the investigators located the floor of Barcelona where the minor was, for what they activated to the Special Group of Intervention, in order that it was entering urgently the floor and to liberate him. This one only is one of the cases between the million minors who disappear a year in the whole world. The persons of numerous countries are accustomed to seeing cartels in the later part of taxis, in lampposts and in the trunks of the trees of the boulevards, in the backs of the packings of milk and other food, even in gas invoices and commercial leaflets, since it happens in the USA, in which the civil collaboration is requested to find a trustworthy track that leads to the location of the missing minor. The majority of these cases, in 90 % lucky, correspond to voluntary abandons of the paternal domicile or you escape of institutions that spent a short period of time return or are found healthy and safe. Behind these absences familiar problems exist, some of serious them as the physical or psychological mistreatment like requirements school that enclosed force to giving good results over his intellectual possibilities giving like proved an intolerable situation, phenomenon daily and very generalized in countries of our environment. And also for other less serious problems but that in the perception of the minor turn out to be a sufficient motive as for it. This adventure is in the habit of concluding normally when the minor is lacking in resources to survive and decides on own initiative to come back home or because they are found by the police in 57 % of the cases in the first 30 days of disappearance. Nevertheless what does happen with those who disappear forever?. Thankfully a negligible part of the cases in which the police put all kinds of human and technical resources but in which the track gets lost of them, plunged in the deepest of the mysteries. Juan Pedro Martínez. 25/07/1986. With 10 years. He disappeared in a tragic accident in Puerto de Somosierra on having overturned the tanker that his father was leading and in which this one and his wife turned out to be dead. David Guerrero Guevara. 04/04/1987. With 13 years, he goes his house in Málaga to go to a gallery of art to which it never came. Gloría Martínez Ruiz. 30/10/1992. With 17 years, she disappeared of the private clinic Torres de San Luis (Alicante) where she was entered and in treatment. Equally: Sirus Esfahani Fierro, Josué Monge García, Jorge y Pedro Ruiz Álvarez, Carlota, Alex, Hugo y Nicolás Shaw Vico, Yasmina Algarra Anta, Cristina Verruga Vera, Dounia Chahidi Alaqui Tapia, Amy Carrie Fitzpatrick, Ashley Stacy García Prato, Yadarsy Fernanda García Prato, Tamara y Yasmina Hissayni Bermejo, Ximena Marquez Cavazos, Nina Serra, and many more. Marta del Castillo Casanueva. 24/01/2009 disappeared in Seville with 17 years when it went out of house to meet a few friends. In whose case, not having been his body, his ex-boyfriend Miguel Carcaño Delgado author lay brother of his murder, it is condemned to 20 years for murder. The brothers Jose and Ruth Bretón Ortiz in whose case the National Institute of Toxicology and Forensic Sciences analyzes a few bony remains found in the house “The Quemadillas”, where his father Jose Bretón did a bonfire the day of his disappearance. 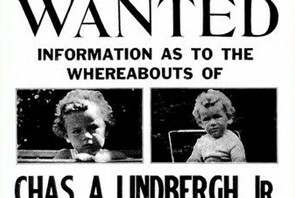 Behind all this one mysterious disappearances there are diverse reasons, from revenges of ex-partner, up to kidnappings for pederasts and psychopaths, mafias of infantile prostitution, and illegal adoptions and even one speaks about traffic of organs when have found babies’ cases mutilated in Brazil and Honduras and children with scars provoked by supposed surgical interventions in San Luis Fortune (Mexico), practice that expert they deny on having had in consideration that to extract an organ, to preserve it up to the implant, which in case of some organs is a question of hours, to study his perfect compatibility with the recipient and to graft it successfully, it is necessary to have such a sophisticated deployment of means and a such equipment of specialists that it is not possible to fulfil in the stealthiness. Both for the Policeman’s National Body and for the Police, the search of missing children is a priority where there work real specialists of the matter who cost themselves of the most modern methods as the Program Phoenix, a database of missing persons’ genetic identification put in functioning in 1997 or one database centralized in that all the information of the missing persons is gathered by the last police actions and where the alarm jumps if accidentally some agent identifies a missing person aleatoriamente in some routine control or for other reasons. In order that the system is effective and the cases do not stay in the oblivion they order themselves follow-ups to the different police stations. But since it is in the habit of saying ” more it is worth preparing that to recover ” being the ideal thing take certain measurements that assure the well-being of our small and young, and more bearing in mind that they all can be victims. It is necessary to prevent them from going alone for the street, already they are playing, be going to realize some message, etc. Always they must be under the supervision of the major one of responsible age or as minimum to mobilize them in groups, they must never go alone. Even if the minor is accompanied of an adult, this one must have special care in places of many abundance of people like big commercial surfaces, beaches, etc. Where the minors disappear with supreme facility. If it was not like that we must effect a follow-up of his activities by means of frequent telephonic contacts or using increasingly effective and secondhand technology of location GPS. They must not be they who open the door of house anybody, not even if there are any more persons in house. We must warn the monitoras and teachers in the day-care centers and colleges that must not give the minors to other persons that she is not the one that is entrusted to gather her, though she is his ex-husband or ex-woman, grandparents, major brothers, etc. If before one has not communicated to them the above mentioned changes, even if she is not a person the one that is going to be going to gather it habitually to establish some key with the monitora or teacher in order that this one could check that the person who is going to gather the child is of confidence.